St Augustine | "How Would You Fix...?" the origin of Marvel’s Limbo? Limbo was originally St. Augustine’s solution to the thorny theological problem of where infants go who have been deprived of the sanctifying grace of baptism and yet have committed no personal sins. The dogmas of original sin and the necessity of baptism would seem to close the doors of heaven to them. Yet it seems inconsistent with everything we know about a loving and merciful God that these infants would suffer the usual punishments of hell, especially since they have committed no sins of their own. The only way medieval Catholic theologians could reconcile these truths was to posit the existence a third eternal destination for the unbaptised infants: Limbo. 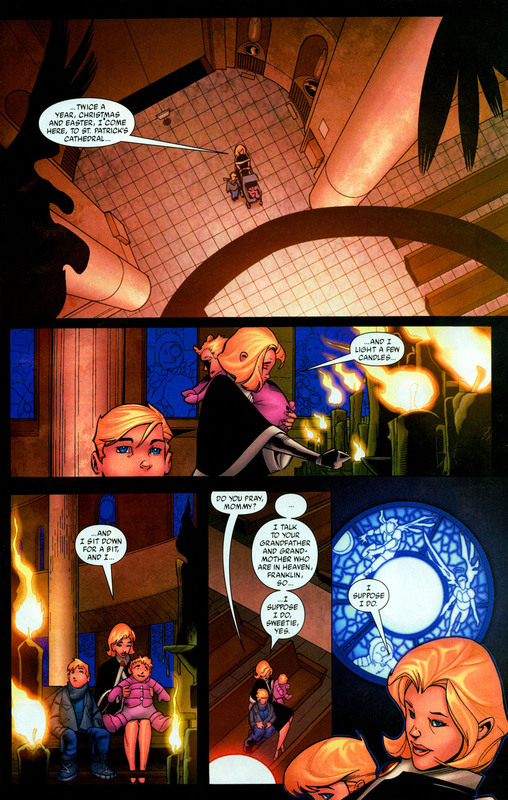 …playing it like a demonic Wonderland with Illyana cast in the role of Alice. While plenty of heroes and villains experienced the existence of Hellish realms firsthand in the Marvel Universe, why would one of them NEED to bring about Limbo? Recalling the theological reason for Limbo’s existence, I’d suggest it was brought about in direct response to concern for the fate of an unbaptised child. Any hero would have this concern if their faith told them this was where a babe would go after death. That narrows it down to a hero who was also a devout Catholic. 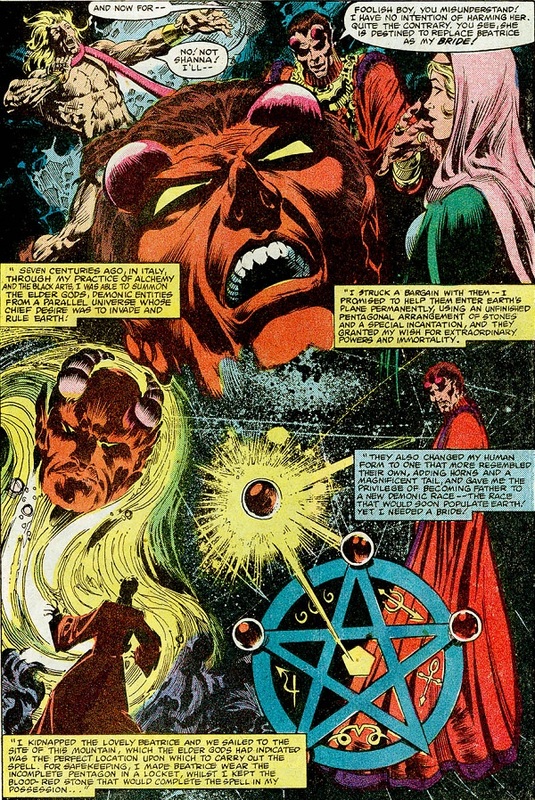 The most notable practising Catholic in the Marvel Universe is Daredevil, who had a run in with Mephisto and his son Blackheart. However, nowhere during his run was he shown to have fathered a child, nor was he directly associated with parents who lost an infant child. 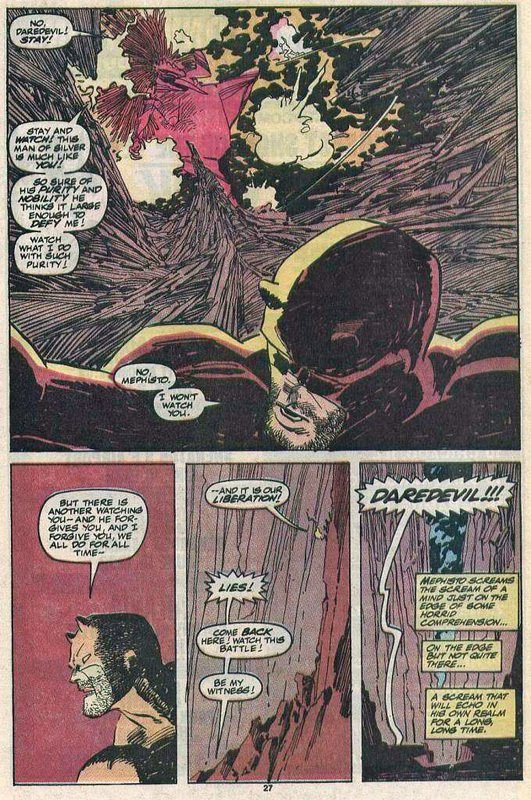 Plus his powers could not bring about another “dimension.” It therefore seems reasonable to rule out Daredevil. 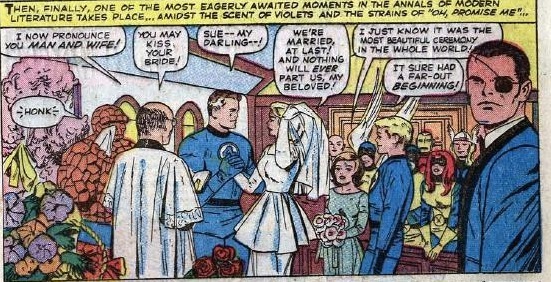 …or asking his forgiveness (such as in Fantastic Four #391). Mind you Reed was not exactly a shrinking violent when it came to acknowledging his own belief in a higher power either during the Lee & Kirby years (despite writers after that and before Waid assuming he was anything but religious). She tells her son Franklin that around Easter and Christmas she lights a candle at St. Patrick’s Cathedral, the premier church of the Archdiocese of New York. So her rarely spoken of faith is revealed here as Catholicism. 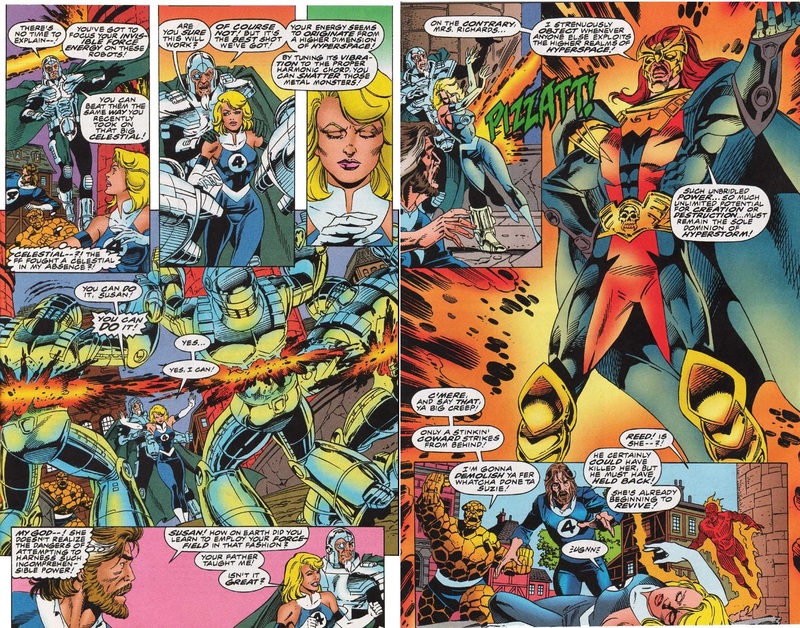 It is this to which Adam Warlock’s emissary alludes in the “Infinity Crusade”. This establishes her knowledge of the theory of Limbo, but what would make her want to create such a realm? The answer I’d suggest is two-fold. 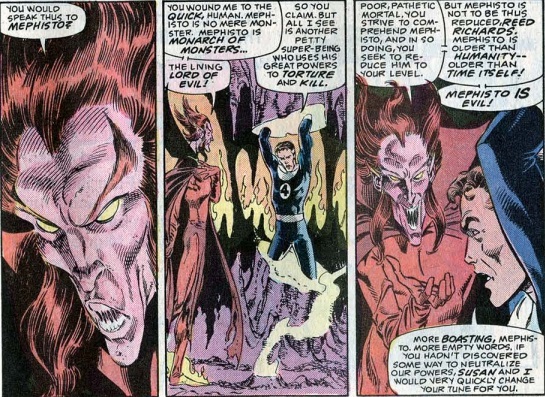 In Fantastic Four #276, Mephisto captures Reed and Susan, enraged at having lost his increased power due to the intervention of their son Franklin Richards. 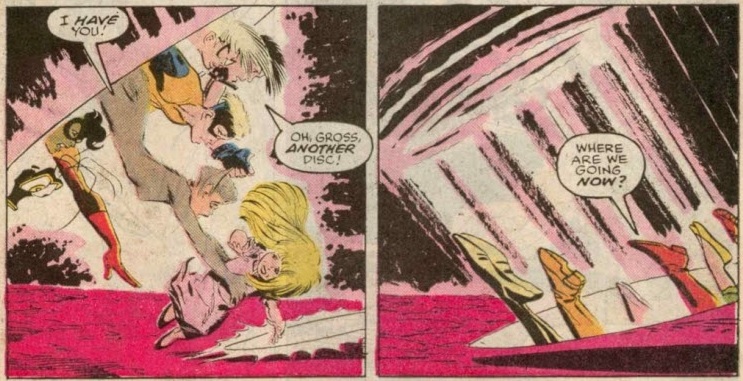 In #277 he torments them both, but for some reason seems to take extra delight in doing so to Susan?! 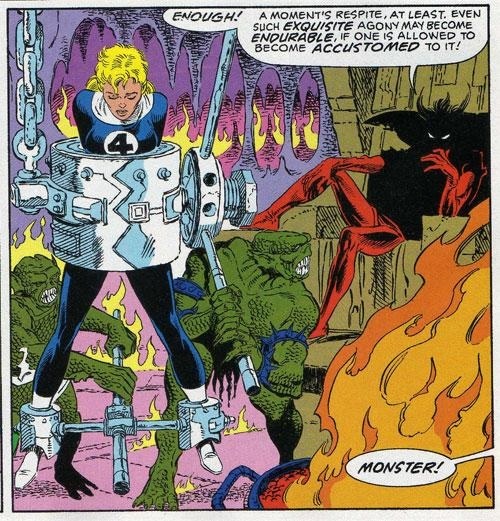 …while Sue is a quivering, screaming mess and depicted as being at the Hell-lord’s mercy (in a manner totally unbecoming of Sue when facing a villain). I would therefore suggest Mephisto singles out Susan due to her Catholic faith. Okay, so what about her faith is Mephisto tormenting Susan for exactly? 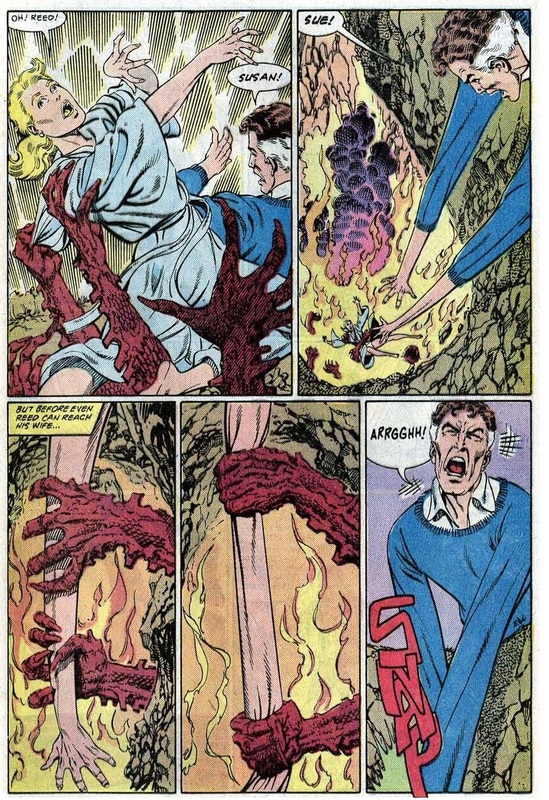 It is worth noting that only a few issues earlier, in Fantastic Four #267, Susan “lost the child she was carrying”. I would therefore propose that Mephisto, exploiting Susan’s faith, torments her with the thought that since she lost her child before it was baptised it would not go to Heaven. And although Sue was likely taught about Limbo as a young child when her aunt took her to church, the old doctrine was dismissed in the reforms of Vatican II, something Mephisto would eagerly remind her of, reiterating that her wide-ranging travels with the Fantastic Four had not happened upon the version espoused by her faith, so her unborn child would reach no such supposed haven. …and unconsciously folds space to create a pocket universe where it has a chance to escape the fate Mephisto has in store for it. 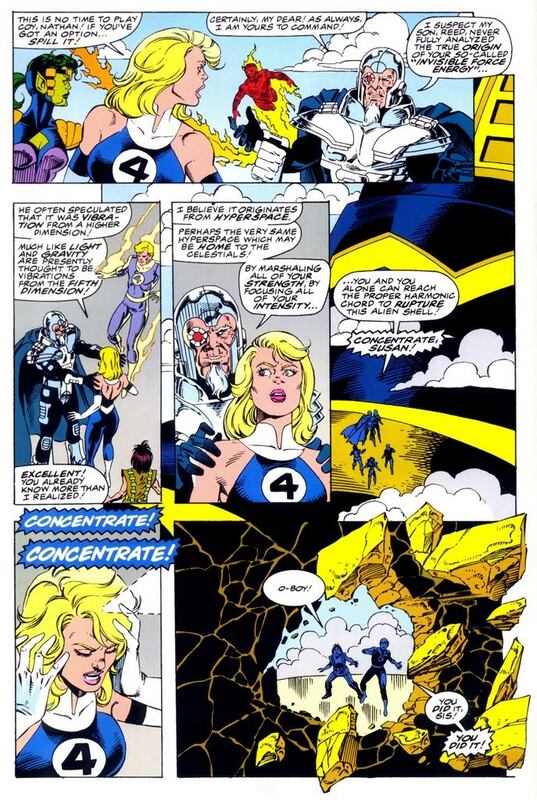 But how could the Invisible Woman create a pocket universe when her ability is to render herself wholly or partially invisible, the result of her being able to bend lightwaves away from her? …I’d alternatively suggest Sue’s ability is more complex and what she actually does is to take a piece of hyperspace and fold it onto itself like a pocket and use it as a hiding place (anything inside the pocket is apparently almost invisible to sensors and the naked eye). 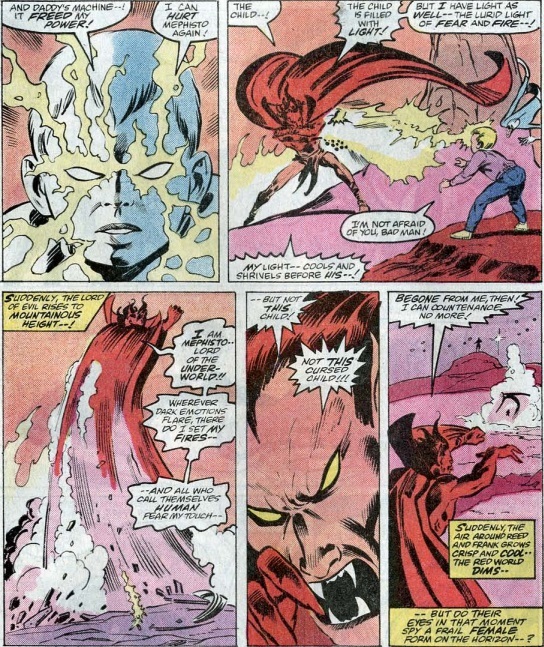 This ability initially manifests as the ability to render herself wholly or partially invisible, but when the fear that her unborn child will fall into the hands of the demon-lord Mephisto for the first time it shows a hint of its potential when she unconsciously accesses hyperspace as later theorised by Reed’s father, Nathaniel, and takes a piece of it, folding it onto itself to create a “pocket universe” to hide her unborn child in… but leaving an infinite number of access points so she can one day reach them (which manifest as the “stepping discs” which are part of the Limbo dimension). …I’d instead suggest that as a mutant his latent ability to take a piece of hyperspace and fold it onto itself like a pocket was inherited from his mother, Susan. Does Susan then make a deal with the Watcher to relocate his base to Limbo to watch over the child to ensure Mephisto doesn’t get her (where he is operating out of, instead of the Moon, in Strange Tales #134)? But why would Uatu agree to break his oath of non-interference over this particular matter? 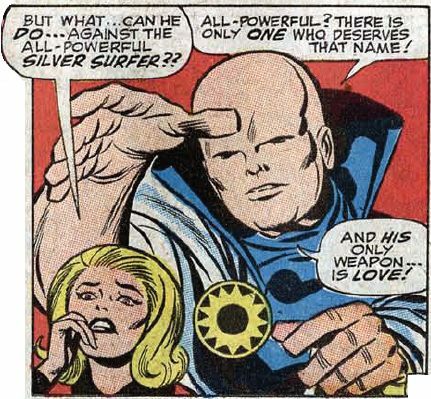 Well firstly I’d direct readers back to a particular scene in Fantastic Four where Uatu the Watcher becomes the first character in the Marvel Universe to not only refer explicitly to the Christian version of God, but acknowledge him as the most all-powerful being in the Marvel Universe. 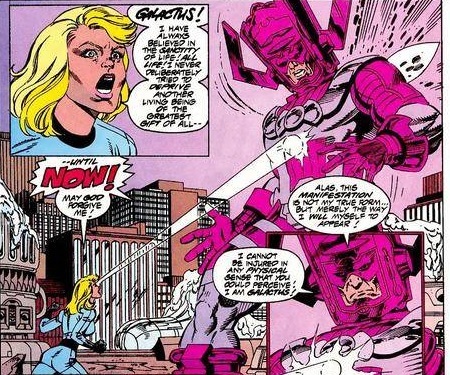 With Uatu declaring himself a clear-cut Christian monotheist in the above scene, he would understand the gravity of Mephisto’s threat to Susan. That is, he would immediately interpret it as a direct threat against his deity by the Marvel Universe’s version of the Christian Devil. And given Susan is among the group of humans he has watched over more than any other on Earth, this event more than any other is the one he’d be most likely break his oath of non-interference over. As for Mephisto, could all the other versions of Limbo we’ve seen have been the result of him plotting to undermine its integrity so he can abduct the child!? Could this also be what the Celestial Messiah plot was all about? …to put Kang off the trail of who the Celestial Madonna really was? 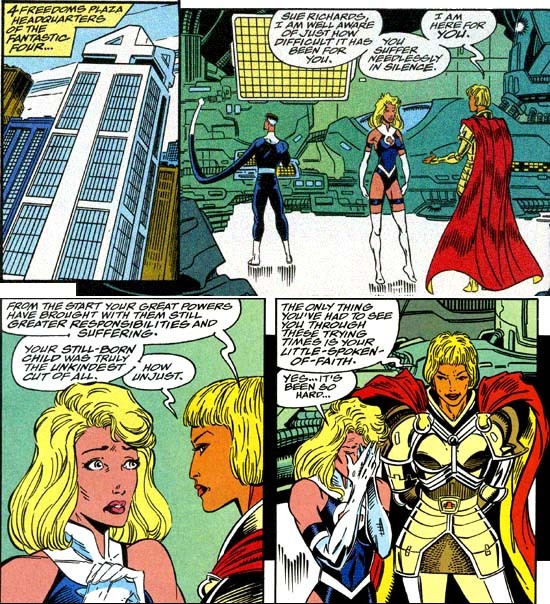 To put the Conqueror off the fact that she was the member of another team… his team… the Fantastic Four! Has the Celestial Madonna been Susan Richards all along? And was the Celestial Messiah not of the human- and plant-world, but two other realms? 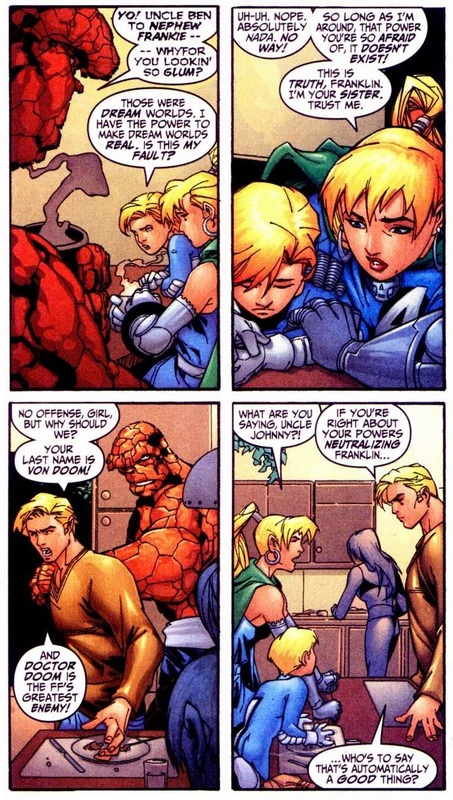 Now recall the revelation that Susan’s second child was a girl did not occur until years later in Fantastic Four Vol. 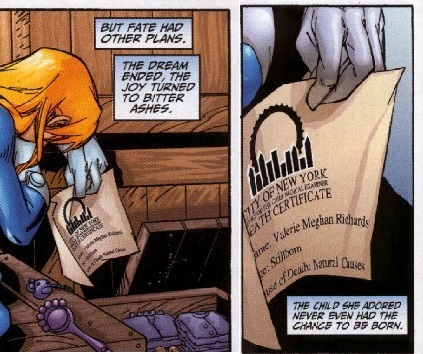 3 #22 (during Claremont’s run when we see the birth certificate which says the child was stillborn). However, in Fantastic Four #267 they’re still referring to it as “the unborn child” with no gender being stated for the remainder of Byrne’s run. 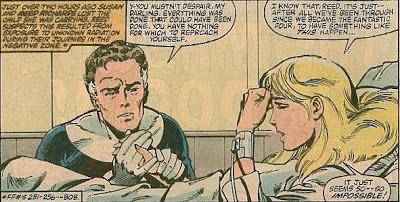 So what if it’s not Valeria Meghan Richards who was the second, child of Sue whom she had lost years before in Fantastic Four #267? Then who else could she be? Well I think to figure that out we need to consider what her powers were upon being first introduced, “neutralizing Franklin’s” as revealed in Fantastic Four volume 3 #29. So what if Mephisto had made a bargain with Doctor Doom to create a clone derived of Sue’s DNA which he promised to release the soul of Victor’s lost love Valeria into? Having a being in Franklin’s constant vicinity, and what better way than through a “big sister”, that could negate his powers so he could finally obtain the boy’s long-sought-after soul! If so, what then of the spirit of Sue’s unborn child?! Have we perhaps seen this “child” before? Well let’s think about it for a moment. That is, recall my positing above that the spirit of Sue’s unborn child was transported to Limbo for its own protection! If so, “the child” is likely still there. So which characters inhabiting Limbo could be likely candidates for this child? 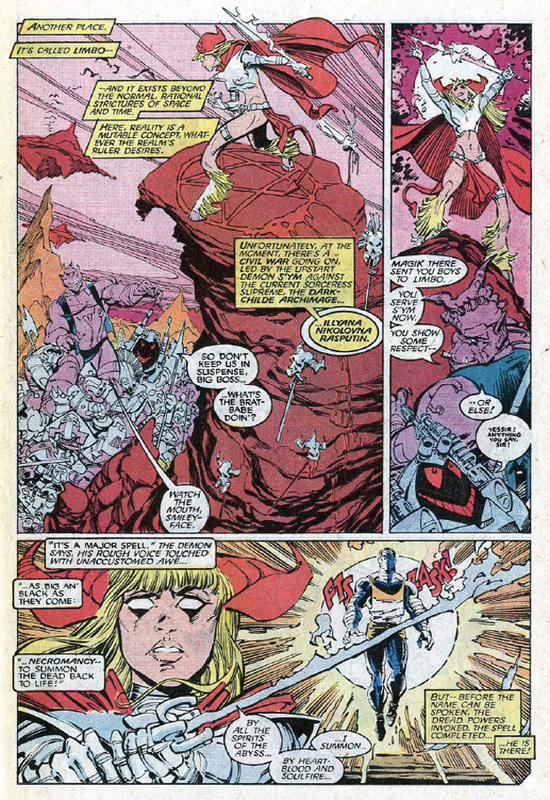 Well we can rule out Magik, Illyana Rasputin, given she is the sister of Colossus of the X-Men. It would seem similarly safe to rule out her previous master, demon-lord of Limbo, Belasco who allegedly started out as a sorcerer in 13th Century Florence, Italy. 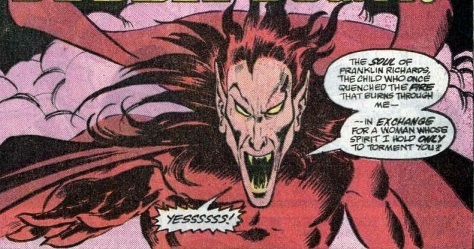 Then there’s of course the self-proclaimed lord of Limbo, Immortus, who while revealed as a Richards, originates from the Fantastic Four’s future, not their present (or recent past). 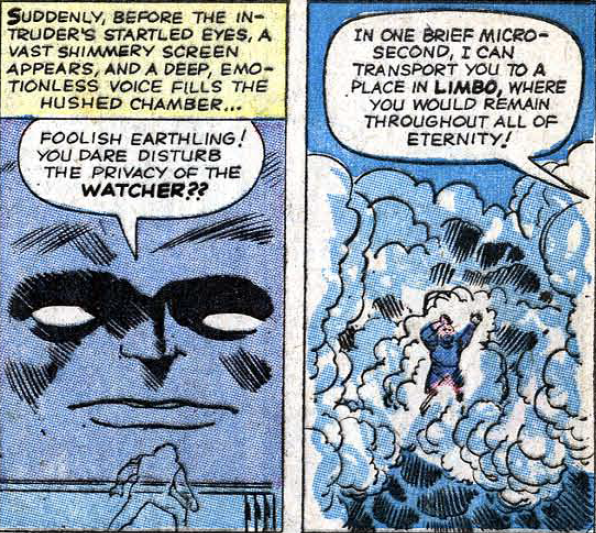 Then of course there’s the Watcher who I noted above as also operating from Limbo in Strange Tales #134 (and earlier threatening to transport the Red Ghost there in Fantastic Four #13). But Uatu can be ruled out as he wasn’t ever trapped there, given he also had as his home the Blue Area of the Moon. So who does that leave us with? Well a character first introduced in Avengers #2 who in fact was the first character to make reference to Limbo in the modern Marvel Universe, Space Phantom! …then later again had this retconned to reveal in Avengers Forever #8 that beings who get trapped in Limbo slowly forget their previous existence and turn into Space Phantoms. 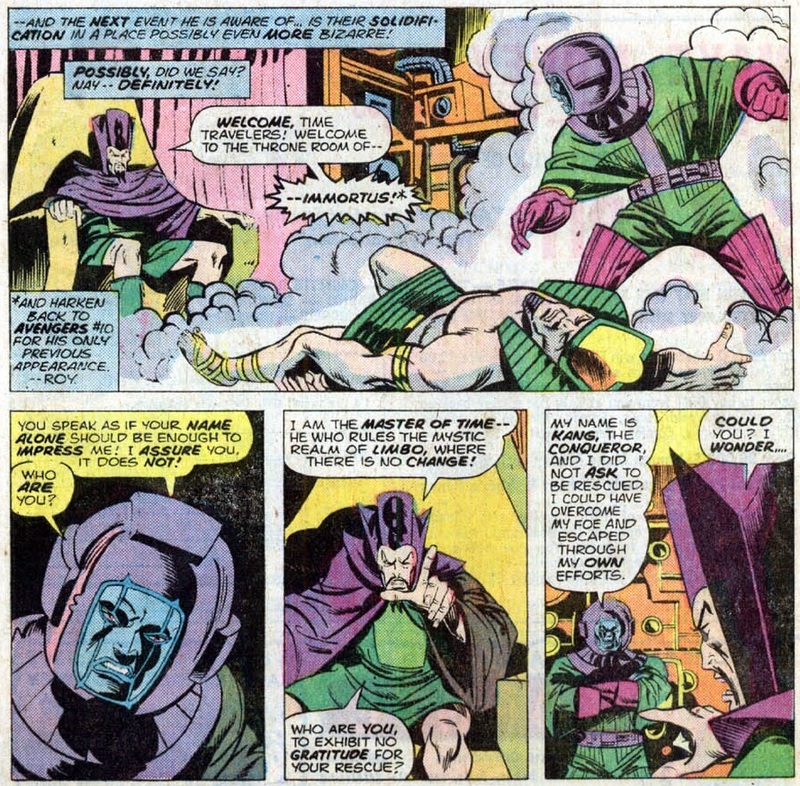 However, given the story in Thor #281 was revealed to be an illusion generated by Immortus, and the whole conceit of Avengers Forever miniseries being a plot generated by the self-same villain, it’s totally conceivable that the more recent Space Phantom revelation is just another of his manipulated schemes. I’d therefore posit that perhaps there’s more to the Space Phantom’s name than we have previously ascribed. What if he is literally a phantom – the insubstantial remnant of a once-living being? And why a Space Phantom? As opposed to a Time Phantom (particularly when his power is to displace people to a temporal dimension such as Limbo and take their place)? A Relative Dimensions Phantom? 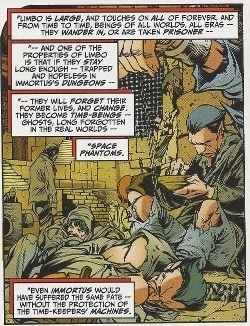 So if we establish the Phantom was a once-living being, the next question is why a “Space” Phantom? Well if he is the child Susan was carrying that she lost, which I’m proposing here, I’d posit the “SPACE” part of his name derives from the fact that like his mother, he can generate and control a form of energy from hyperSPACE! 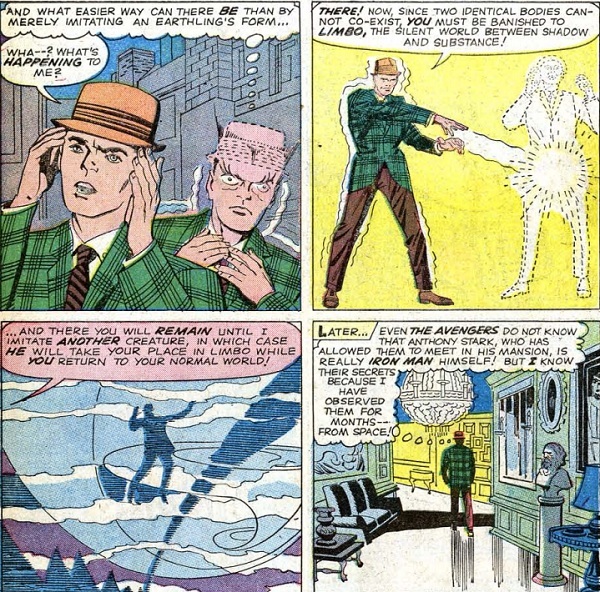 And the reason he has to swap places with others is because when Susan unconsciously created Limbo she did so that her child would be “bound” to it in order to protect them from Mephisto (and all the attempted demonic incursions have been about trying to weaken the protective barrier). 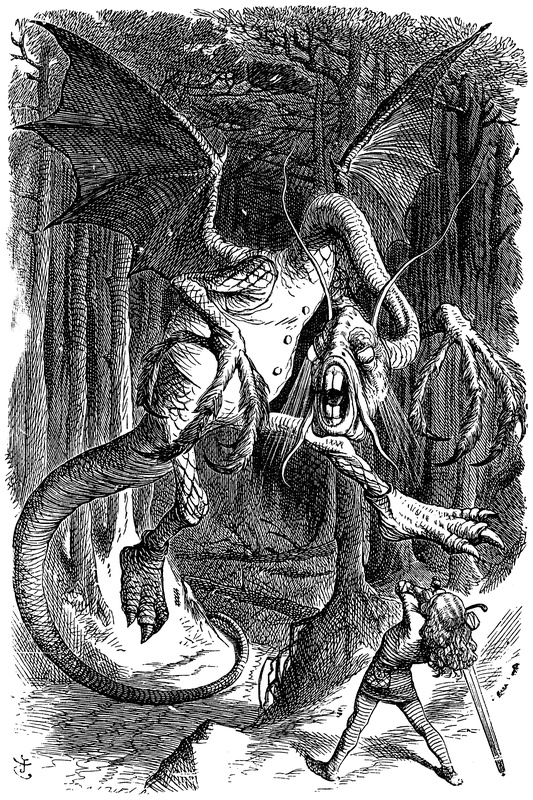 But over time he comes to learn that his inherited abilities to access hyperspace enable him to fold another’s physical projection around him (as Plok puts it, copying their “hyperspatial imprint”:), causing them to suddenly end up with his form, thereby tricking Limbo and thereby displacing them and enabling him to temporarily escape its protective “prison”. 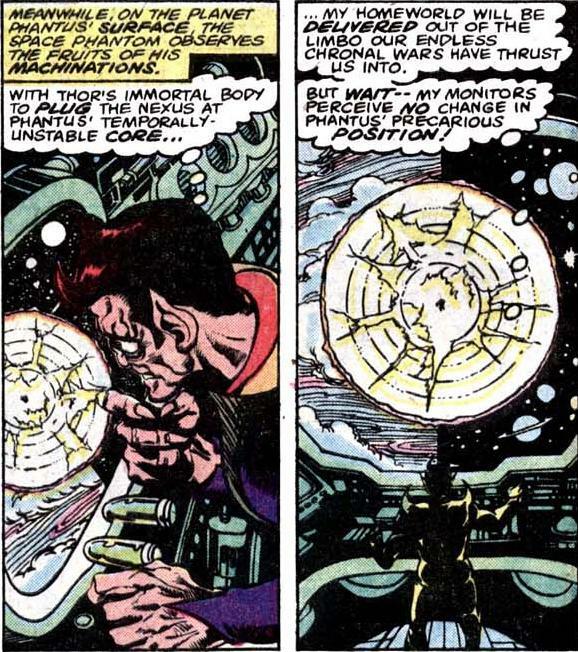 The logical corollary of this being that Limbo doesn’t cause those who get trapped to forget their previous existence and turn into Space Phantoms (as suggested in Avengers Forever #8), but rather Space Phantom’s folding of himself out of Limbo and folding of them there in his place! 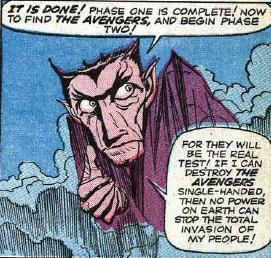 But how can all this be when Space Phantom in Avengers #2 refers to his “people” invading Earth? …so task him with becoming the advance scout for their “race”, an invasion force from Limbo intent on conquering Earth.